Balance Design was recently hand-picked by a writer for none other than HOUZZ – to be featured in an editorial ideabook on their homepage! “Here are six of my favorite ways designers use wallpaper to highlight a fireplace, plus a few tips on installation. The immediate exterior walls surrounding your fireplace are the easiest place to start. When it comes to wallpaper, the cost can add up, which is why choosing to showcase a particular aspect of any room — a single wall, a nook or, in this case, the facing above a fireplace — makes a statement without having to deal with the cost of a wrapping the whole room in wallpaper. 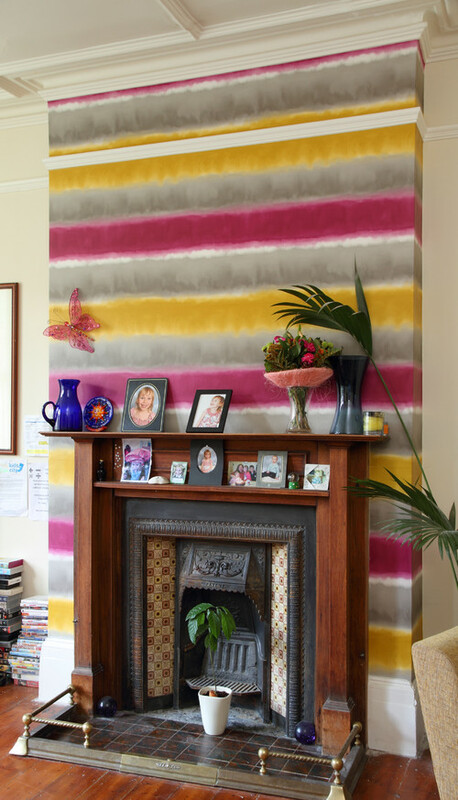 By wallpapering the facing, you not only will make the fireplace the focal point, but you also will make it an even more enjoyable place to curl up with friends, family or a cup of tea. Many of my clients search for a paper to match the room, but in the end, I find that most clients wind up being inspired by a particular wallpaper they love and then create the rest of the room around it. See the entire article on HOUZZ!